Are your students sneaky? Are they trying to be sneaky? Are you tired of them trying not to get caught? Do you get frustrated when Little Glenn constantly watches you just to make sure you are not watching him? You might catch him fairly often, which is frustrating, but imagine how you would react if you caught him every time. Driving to work this morning, I noticed that pretty much every driver tries not to get caught doing something or another that causes an extra glance in the rearview mirror looking out for law enforcement. Almost everyone drives too fast (or ridiculously too slow,) or gets through the traffic light a split second late, or changes lanes without signaling, or glances at a cell phone while driving, or a multitude of other things that warrant a quick look around for a cop. Adults try not to get caught. The rules of the road are occasionally inconvenient to your personal desires to get where you are going. So you break the rules and try not to get caught. When we do get caught, the experience leaves the driver feeling bad or lucky. You got caught and you got a ticket or you got away with a warning. Bad or lucky. I love hearing excuses from my friends after traffic citations and just how heartless the officer's attitude was. I also love hearing how kind the cop was if you just got a warning. Kids try not to get caught. The rules of the classroom are occasionally inconvenient to their personal desires to act like a kid. So they break the rules and try not to get caught. 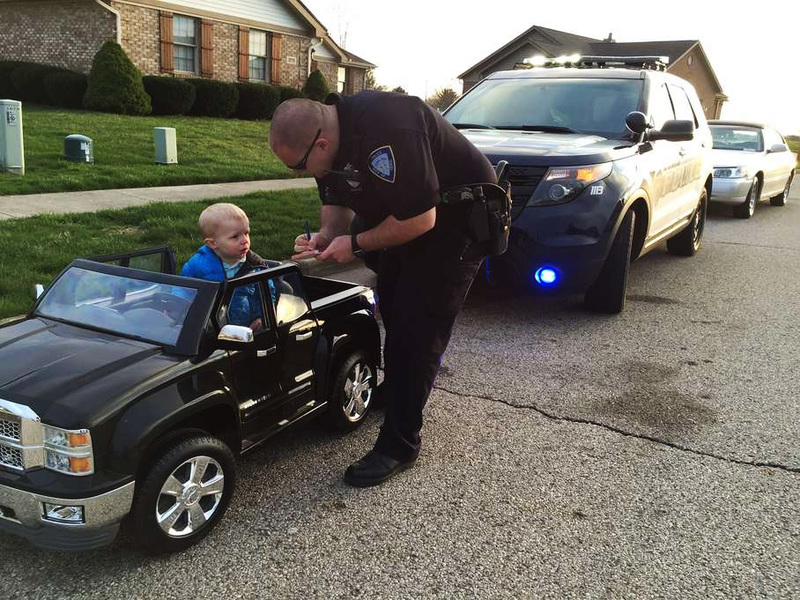 When you do catch a kid bending the rules, what kind of cop are you? Does the kid feel bad? Or... does the kid feel lucky to have you as a teacher?